The armor of a gladiator was often designed to be as protective as it was aesthetic, possessing the dual purpose of appealing to the crowd and protecting its wearer. 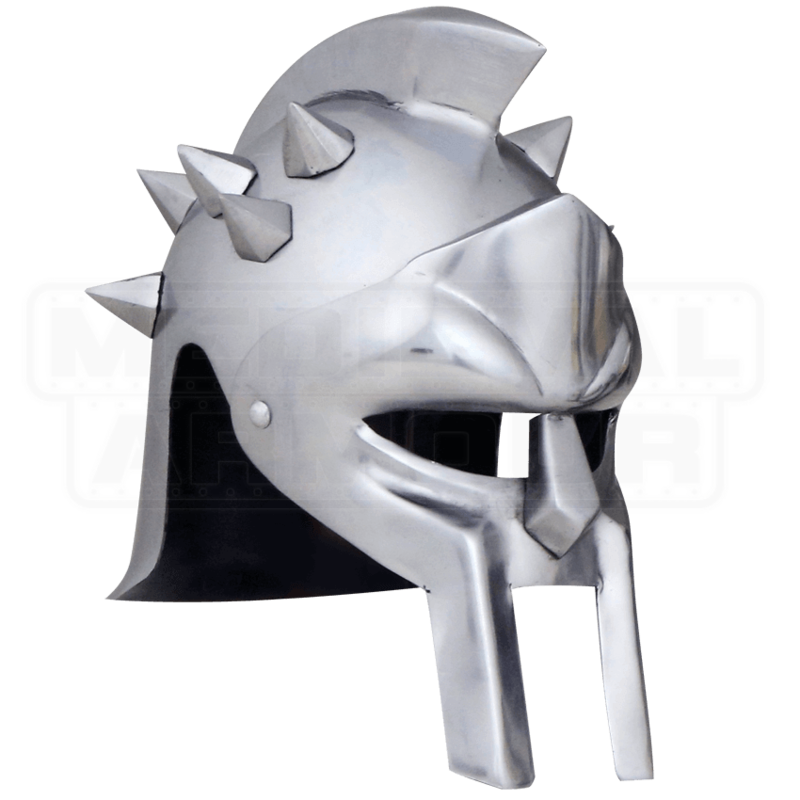 This Spiked Crest Gladiator Helmet is a piece of armor that does both, with ease. The full face coverage of the helmet lends an air of mystery to the fighter, allowing the crowd to speculate at whom might fight underneath the helmet, while the coverage offers a good bit of protection, without overly hindering the gladiators ability to fight - it leaves his ears open, while also featuring good sized openings for his eyes and mouth. 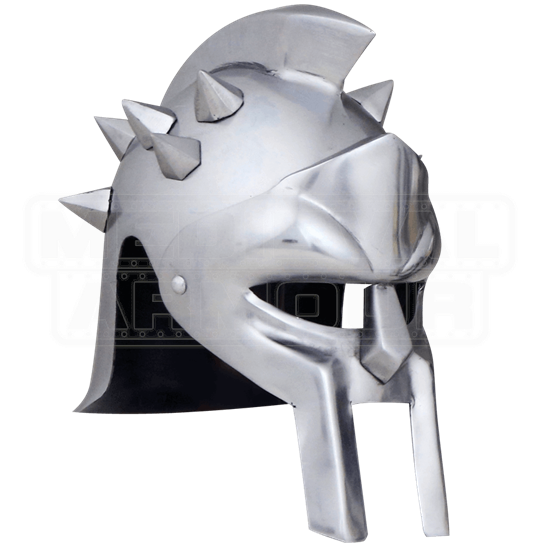 Even more interesting is the addition of a crest and spikes across the top of the helm, giving it a distinctive look that makes it easy to pick out from the stands, even when you are watching the warrior in the hectic chaos of the pit melee. The helmet is made entirely from 18 gauge steel. Set on a display stand, this Spiked Crest Gladiator Helmet makes for a stunning central display piece, and set atop your head, as a costume helmet, it goes a long way towards helping you to recreate the look of your favorite gladiator from the Roman fighting pits.